The PAGE 2017 meeting was hosted by the Semmelweis University of Budapest and was held at the Budapest Congress Centre, Budapest, Hungary. The PAGE meeting takes place in an informal atmosphere with vivid scientific discussion. PAGE 2017 was held at the Budapest Congress Centre. The meeting started with a welcome reception on Tuesday evening 6 June. The scientific programme started on Wednesday morning 7 June and ended at noon on Friday 9 June. Participants are encouraged to attend all conference days and present their work in the form of an oral presentation or poster. The program and abstracts can be downloaded as a single document (in pdf, docx and rtf format, and a pdf in A5 layout for e-readers). Note that no printed abstracts are available at the conference so print them at home or use the special Apps that have been developed for iPhone and Android to view all abstracts off-line on your portable device. The annual Lewis Sheiner Student Session was inaugurated, both to honour the memory of Lewis Sheiner and to highlight his lifetime passion for student education. Students who wish to be considered for this session should submit an extended abstract no later than 27 February 2017. If selected, the student will automatically receive a 300 euro travel grant. A permanent list of students, with links to their presentation, will be maintained on the web site. As a tribute to Stuart Beal, the organising committee has instituted the Stuart Beal Methodology Session. The organising committee will choose presenters from the submitted abstracts. Tutorial on estimation methods in population modelling. A series of tutorials on estimation methods was started at PAGE in 2016. This year's tutorial will deal with non-parametric methods and will be given by Dr Robert Leary. Special session on scaling of PD in paediatrics. This session will be devoted to scaling of PD in Paediatrics. Dr Joe Standing (UCL Institute of Child Health, London, UK) will give an introductory presentation with the title "Scaling pharmacodynamics in children: Lessons from immunology, infectious diseases and critical care". Further presenters will be selected by the organising committee from the submitted abstracts. Kristin Karlsson (MPA, Sweden) will speak on "How does pharmacometric evaluation in Europe work in practice and what does the Modelling and Simulation Working Group do?" Anna Nordmark (MPA, Sweden) will present on "The New Draft EMA Guidance on PBPK – The Qualification of the intended use concept"
Special session on characterising the benefit-risk profile of medicinal products. This session will be devoted to Benefit-Risk assessment, focusing on Multi Criteria Decision Analysis (MCDA) and Preference elicitation. Further presenters will be selected by the organising committee from the submitted abstracts. Praveen Thokala (University of Sheffield, UK) will introduce the concept and principles of MCDA. Title: "Overview and implementation of Multi Criteria Decision Analysis (MCDA)"
Kevin Marsh (Evidera, UK) will share his experience in supporting industry quantify benefit-risk. Title: "Current practices and gaps in benefit-risk assessment: opportunities for combining MCDA with model-based approaches"
Registration will open on Monday 16 January at 9:00 (9AM) local Budapest time (CET, Central European Time: GMT+1). Registration is only possible at the PAGE website. Fees include coffee, tea and lunch on all days, the welcome reception on 6 June and the social event on 8 June. Registration fees must be paid at the PAGE website by credit card only (Visa, Maestro, MasterCard and American Express) within 14 days after registering at the PAGE website. Visa payments require Verified-by-Visa to be activated, and MasterCard requires SecureCode for your and our own security. Failure to meet this deadline will automatically place your registration on the waiting list. Students wishing to qualify for the student registration fee will need to upload, at the time of registration, a scanned copy of a signed letter of support from their supervisor indicating that they will be full time students in an MSc or PhD programme at the time of the PAGE meeting, and a scan of their current student card. If this information (and an abstract if applicable) is not available at the time of the abstract deadline (27 February), non-reduced fees will be charged. A PAGE Student Sponsorship to support travel and accommodation expenses (kindly supported by Certara, ISoP, BAST, and Occams), is available to a very restricted number of students unable to obtain any other financial support. This will be judged on a case-by-case basis by a selection committee. Please see here to download a form with criteria and details on how to apply. Applications need to be submitted by the time of the abstract deadline (27 February), so make sure you receive confirmation of receipt when sending your application. The abstract submission deadline is the same for all abstracts: Lewis Sheiner Student Session abstracts, oral session abstracts, and poster abstracts and there will be no option for late submissions. The reason is that the PAGE organising committee cares about the quality of all abstracts, and that means that sufficient time is required for judging the abstracts. In particular, abstracts without results will be rejected. Statements such as “…will be shown…”, or “…will be available at the time of the conference…” are not acceptable. Submission of abstracts is only possible online through the PAGE website. Log in, click on 'Register/submit abstract' and click the link on the bottom of your personal info page. To facilitate the review of abstracts and to help structure the poster sessions, please select an abstract category when you submit your abstract. The abstract must be structured with the following headings: Objectives / Methods / Results / Conclusion / References. There is a strict limit of 1,000 to 2,500 characters (including spaces) for the abstract text (excluding Title/ Authors/ Affiliation and References). Abstracts will remain invisible until release of the final programme (anticipated date: between 5 and 15 April). The local organisers have provided the possibility of having your poster printed on-site at the cost of 45 euro. Prepare your poster in A0 portrait layout in pdf format, and upload the file and pay at https://afea.eventsair.com/page2017/posters. Do hurry though: the deadline for file-submission is May 23! Software companies, Academic Software Application Developers and Contract Research Organisations are welcome to present their products and services during PAGE. Please contact the conference secretariat for further details at pagemeeting2017@afea.gr. Several events will be held before and after the PAGE meeting. If you are interested in organising such a satellite meeting, contact AFEA directly at pagemeeting2017@afea.gr. Please note that PAGE itself does not get involved in organising satellite workshops or booking venues, etc, and satellite meetings cannot be booked through the PAGE or local organisers web-site. Running the Simcyp Simulator through the R package. Modelling of target mediated drug disposition (TMDD) of protein and ADCs including techniques to account for target shedding and binding kinetics of bispecific antibodies. Certara is running a two-day Advanced Pharmacometrics PK/PD Modeling Course using Phoenix NLME on Monday and Tuesday 5-6 June. This course is designed to explore advanced techniques in pharmacokinetic and pharmacodynamics modelling and simulation that are directly applicable to current challenges in drug development. In depth theory is coupled with examples from current literature to provide a complete training experience. Topics include complicated population pharmacokinetic models, PK/PD modelling of oncology studies, modelling transit compartments, target mediated drug disposition, and extrapolation from adults to children. The fee is in US dollars and includes training materials, tea, coffee and lunch. All travel, accommodation and evening meal expenses are the responsibility of the attendee. All attendees are required to provide their own laptop for use during the course. Please bring a computer mouse. A temporary version of the software will be provided in a downloadable format to those attendees who need it approximately two weeks prior to the course. Cost $1,000 USD. Uppsala Pharmacometrics will give a 2.5-day course on Pharmacokinetic-Pharmacodynamic modeling of continuous and categorical data in NONMEM for intermediate and advanced users from 4th to 6th of June. The course presents up-to-date modeling strategies, techniques and implementations for the handling of PKPD information in population models. Disease progression, Placebo and PD models, for continuous, ordered categorical, count and time to event data will be discussed in addition to demonstrating appropriate model diagnostics for these type of models. The content is built on the extensive experience the course organizers have generated from PKPD analyses in academia and industry. The course will consist of both lectures and hands-on computer exercises using NONMEM 7.4, PsN and Xpose 4. On top of the information-rich content covered during the course days, the additional material has been regarded to be of high value for future work. For more information and registration, click here uppsala-pharmacometrics.com. ICON will present a one-day NONMEM 7 course on Monday 5 June. Workshop attendees will be instructed how implement the FAST FOCEI algorithm (new in NONMEM 7.4), how to use Monte Carlo importance sampling, stochastic approximation E-M methods, and full Bayesian methods, both traditional Gibbs Bayesian and Hamiltonian no U-turn sampling (new in NONMEM 7.4). Parallel computing and dynamic memory allocation for efficient memory usage will also be described as well as additional new features of NONMEM 7.4. The features of PDx-POP 5.2, the graphical interface for NONMEM 7, will also be demonstrated. Cost will be $500 for industry, $250 for academia, and $100 for students. For details and registration use this link, and the program can be found here or contact IDSSoftware@iconplc.com for more information. PIPET (Pharmacometrics Institute for Practical Education and Training) of the Catholic University of Korea will give a one-day workshop titled "Translation of mAb PKPD: Theoretical basis and Case Studies" on Monday 5th June. This is not a typical hands-on modeling workshop, but a course for comprehensive understanding of the PKPD of monoclonal antibodies and its practical application c ases in clinical development. The course provides chances to look into theoretical background in physiology and resulting mathematical models as well as interesting cases of translation in human. Hands-on demonstration is included, but participants do not have to bring laptops. Although this course covers some critical questions raised in preclinical/clinical development of mAb, master course-leveled students did not have difficulties in following the course in its previous sessions held elsewhere. Cost will be 250 Euro. For detailed program and registration, please visit http://pipetws.mooo.com. SGS Exprimo is running a two-day Clinical Trial Simulation course on Monday and Tuesday 5-6 June. Both courses are provided free of charge. Only 30 places will be available for both sessions. Priority will be given to attendees registering for both sessions. For more information and registration, please contact nancy.smets01@sgs.com. LIXOFT and Gilbert Koch are running a 1 day hands-on workshop on Target Mediated Drug Disposition models with the MonolixSuite on Monday the 5th of June. The workshop is intended to pharmacometricians wishing to have an introduction and an overview of TMDD. No prior experience of the MonolixSuite nor population PK modeling of biologics is required. It will provide an overview of the characteristics of the PK of therapeutic proteins, introduce TMDD modeling concepts (equations, approximations, underlying assumptions), and discuss guidelines for the development of TMDD models. Hands-on lectures to explore the behavior of TMDD models, as well as to model step by step a TMDD PK data set, will be included. More information and registration here. LIXOFT is running a 1 day hands-on workshop on advanced Monolix on Tuesday the 6th of June. The course is designed for modelers with already a good knowledge of Monolix, who wish i) to better understand the methods, the algorithms and their options, ii) learn how to implement complex models, iii) improve their strategy for model building. The course will consist of both lectures and hands-on sessions with Monolix. A dedicated Q&A hour session will be proposed. More information and registration here. LIXOFT is running a 1 day hands-on workshop on the Monolix Suite on Tuesday the 6th of June. The course is designed for modelers with none to intermediate knowledge of the MonolixSuite. It will present the full modeling and simulation workflow on concrete examples using the 4 applications of the suite: Datxplore for the data visualization, Mlxplore for the exploration of the model behavior, Monolix for parameter estimation and model diagnosis and Simulx for clinical trial simulations. The course will in particular focus on the modeling strategy, the model implementation and the model diagnosis. Two real case studies will be used, covering a PK and a PKPD example of modeling and simulation. More information and registration here. Mango Solutions is running a two-day R for Pharmacometrics course on 5-6 June. The workshop provides a practical introduction to the R environment and will enable attendees to achieve confidence and proficiency in R with specific reference to Pharmacometric modelling. This training is designed to review the basic concepts of the R language, before moving onto more Pharmacometric based topics (such as producing typical pk graphics, fitting mixed effects models, interacting with NONMEM and performing simulation-based analyses). This will be a hands-on course, with theory backed up by relevant worked exercises and examples. Note: some basic experience of the R language is strongly recommended for this workshop. For more information, please download the course outline here. The cost for this course is €2,200 per person (Academic discounts are available). To register, please contact the Mango Solutions Training Team via training@mango-solutions.com. Metrum Research Group will present a one-day workshop entitled “Advanced Use of Stan, rstan and Torsten for Pharmacometric Applications” on Saturday 10 June 2017, 08:00-17:00. We will provide a guided hands-on experience in the advanced use of Stan, rstan, and Torsten, for Bayesian PKPD modeling. Stan is a flexible open-source software tool for Bayesian data analysis using Hamiltonian Monte Carlo (HMC) simulation---a type of MCMC simulation. Torsten is a Stan extension containing a library of functions to simplify implementation of PKPD models. This workshop builds on the foundations presented in our previous introductory Stan workshops. Topics include model evaluation and comparison, models with systems of ODEs, optimizing Stan code, using MCMC results for population and trial simulations, and more. You will execute Bayesian data analysis examples using Stan. Via the examples you will learn to implement population PKPD models including those involving censoring, numerical solution of ODEs, and user-defined probability distributions and likelihoods. Cost will be $600 for industry, $300 for academia/government/non-profit and $150 for students. Click here for details and registration. Open Systems Pharmacology offers a free-of-charge Systems Pharmacology/PBPK workshop utilizing the SB Suite with PK-Sim® and MoBi® on Monday, June 5th. The one-day workshop will be a mix of theory and hands-on, so that attendees will get a useful mix of theoretical knowledge and practical experience. Included topics are small molecules and biologics, drug-drug interaction, specific populations and age-related scaling, customizing models, parameter identification and sensitivity analysis. A detailed workshop description can be found here, where registration is also possible. In case you have questions, please direct them to info@systems-biology.com. The University of Maryland Center for Translational Medicine is excited to announce a new course at PAGE this year - the tidyverse for pharmacometrics on Monday and Tuesday, June 5th and 6th. Built off user feedback, updates in the R ecosystem, and growing baseline knowledge in our community, this is a new workshop designed to vastly expand the speed and capabilities of people using R. With focus areas on reproducible research, visualization, advanced data manipulation, and functional programming for simulations and data management, this course will position you to be able to powerfully leverage all the new packages and techniques being developed by the Rstudio team and general community to finish projects faster and more reproducibly as well as share code more easily between projects and colleagues. More details, and registration can be found here. Register for early bird pricing by april 14th and get 20% off with the code EARLYBIRD. Curious whether this course is right for you? Please reach out to devin.pastoor@gmail.com. The Pharmainformatics unit of the ATHENA Research and Innovation Center, Athens, Greece will present a one-day course entitled “Workshop on Hot Topics in Pharmacometrics and Drug Research” on June 6, 2017, 0.9.00-16.30. After a brief review of the activities of Pharmainformatics unit, the course will provide an overview of hot topics in pharmacometrics such as “Algorithmic asymptotic analysis of multiscale pharmacokinetic models”, “Potential strategies for parameter estimation in nonlinear dynamic systems”, “Optimal drug administration using model predictive control” and “PK/PD modelling in paediatric populations”. Special emphasis will be given to hot topics of today’s biomedical research such as “Data mining and bioinformatics analysis”, “Systematic approaches in population based research”; a video talk of Professor John Ioannidis from the University of Stanford will allow attendees to become familiar with the question “what does scientific reproducibility mean?”. Finally, Professor Panos Macheras will present for the first time “The interlink between high variability, heterogeneity and irreproducibility in drug research”. To download the program click here. Cost will be 300 euro for industry, 150 euro for academia/government/nonprofit and 100 euro for students for registrations up to 20th of May. Click here to register for the workshop. AFEA Travel & Congress Services SA, the official PCO (Professional Congress Organizer), has secured a variety of hotels for the PAGE meeting, which range from luxurious to more standard accommodations at preferential rates. An overview of the hotel accommodation options can be obtained here, and a google map with all hotels can be found here. As June is a high season in Budapest, and rooms will be booked on a first-come first serve basis, we kindly advise all the delegates to proceed with their bookings well in advance. Should you wish to register online, please use this link. For group reservations (over 10 rooms), please contact the Booking Secretariat directly at pagemeeting2017@afea.gr. A confirmation letter for your reservation will be sent automatically to your email account. Should you not receive a confirmation letter, please contact the Professional Congress Organizer (see below). Rooms have been pre-booked in all the hotels until March 6th 2017 and will be confirmed on a first-come first-served basis as they are subject to availability. After this date, all reservations will be handled upon request. Full settlement of the accommodation cost is required, in order for the room reservation to be confirmed. After this date, full cancellation fees will apply. Any reduction in nights will be treated as a cancellation and no refund will be possible as well. AFEA is happy to offer a wide range of tours in Budapest. For tours description and the bookings please follow the link https://www.cityrama.hu/budapest-tours. You will receive a 5% discount with the code PAGE2017. You can also apply and pay on site by cash and credit card. Budapest is in the center of Europe, a place where people and cultures from around the world have met and will meet. The Danube river, source of life in Central Europe, is at its best in Budapest. The Danube flows through this unique city and separates Buda on the hills from Pest on the opposite, the flat side of the riverbank. 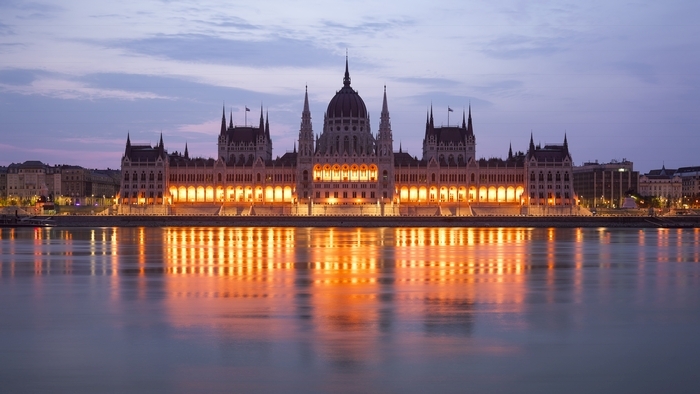 Budapest has a grand variety of museums, all strongly influencing the cultural and social life of the city. Both sides of the city have their own individual history and cultural influence, which have shaped Budapest into what it is today and in some parts, you can still feel the influence of the orient. There are many baths and thermal springs in Budapest: around 100 of the baths are from Roman times and some of them were even used and enlarged by the Turks, during their occupation of the city. However, Budapest is not only bursting with history and tradition, but also a modern city with state of art technology. Over 22 million visitors come every year to experience the legendary atmosphere of this unique place. Easily reached by a one or two hours’ flight from London, Paris, Amsterdam, Brussels, Madrid, Berlin, Rome, Milan, Stockholm, Copenhagen, Vienna, Prague, Bucharest or Athens. Public transport in Budapest is provided by Budapest Transport Ltd. (known to all Hungarians simply as BKV). Budapest has an efficient public transport network. Generally, buses, trams and trolleybuses operate between 4.30 AM and 11 PM. All-night bus service operates on the major thoroughfares in the city (night bus timetables are posted to the bus stops and to the most metro stations). The three metro lines intersect at Deák Square in the centre of the town. Metros run at 2-15 minutes intervals from about 4.30 AM to 11.15 PM. There are also five suburban railway lines (HÉV) serving the outskirts of the city. For maps, timetables, ticket and pass information etc. please visit the home page of the BKV Ltd. (Budapest Transport Ltd.). Metro and tram lines of Budapest (map), main English website of the public transport company (link), and all public transport area and network maps (link). All Budapest licensed taxis are yellow, have yellow number plates, as well as a taxi sign in yellow. Any vehicle without these features is operating illegally. It’s a good idea to avoid drivers who volunteer their services, but don’t have a registered taxi sticker on their car. This can prevent unpleasant surprises when it comes time to pay. All cars must have a taximeter installed, and these also print out a receipt. Taxi drivers are required to give an invoice on request. Tipping: in general 10% of the fare is acceptable. The total charge that has to be paid by the passenger is made up of three separate parts: the basic charge, which is irrespective of how far the journey is, presently HUF 450 during day and night, a per kilometre charge which depends on how many kilometres are covered during the journey HUF 280/km, and the waiting charge which is HUF 70/min. From 1 September 2013 a new regulation came to force which regulates the taxi fares. No fixed, shuttle or pre-agreed prices are available any more. The weather in Hungary in June is sunny and warm. Temperatures are usually in the range between 24 and 28 °C during the day. Check the weather forecast for Budapest at weather.yahoo.com, or at weather.com. For other regions of Hungary check weatherinhungary.com. The official national Hungarian currency is the Hungarian Forint (HUF). All the major credit cards are accepted in Hungary in places displaying the emblem at the entrance. Though Hungary is a member of the European Union, only a few shops and restaurants accept Euros (EUR) for payment. Currency exchange booths are available in Budapest at the airport terminals, railway stations, travel agencies, banks and various places in the city. The exchange rates applied may vary. Traveller’s cheques and convertible currency may be exchanged at these facilities. Major credit cards are usually accepted in most hotels, restaurants and certain shops in the city. Obtaining cash against ATM or credit cards is very easy from the ATM cash machines that can be found at almost each bank office, hotel or on the street. Food shops are open from 7 AM – 6 PM Mon – Fri, 8 AM – 1 PM Sat. Other shops are open between 10 AM-6 PM Mon – Fri, 10 AM – 1 PM Sat. Most shopping centres are open 10 AM – 8 PM even on Sunday.